Because of its moderate climate (in-between oceanic and continental) Poland is famous for the most diverse and the richest forest biocenose in Central Europe. There are 2,300 vascular plants, 600 mosses, 250 Hepaticopsida, and 1600 lichens. 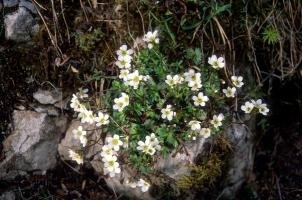 Among vascular plants we can find species from various geographical regions such as: Eurasia, North-Americn, Arctic, Middle-Europe, West-Europe, Black-Sea; even Mediterranean Sea. 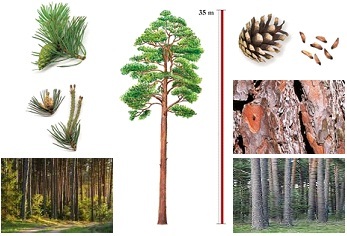 Pine trees (Pinus sylvestris) and sporadically larch cover 70% of the forest area. Among broadleaved species, oak (Quercus sp.) dominates - 7.3 %. Mostly we can find pedunculate oak (Quercus robur), and rarely sessile oak (Quercus petraea), which grows on less fertile soils. Birch (Betula sp. ), covers almost 7% of forests. 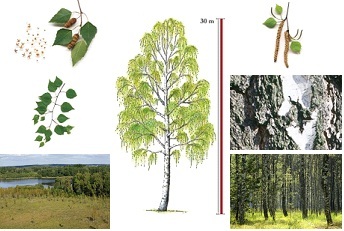 Birch, as a pioneer species, is the species usually regenerated first on waste grounds. 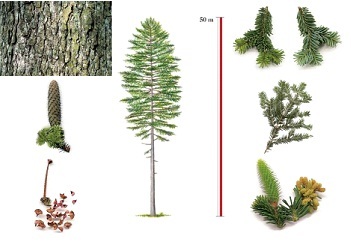 Spruce (Picea abies) covers 5.5 %, and is mainly found in north-east Poland and in highlands and mountains. European beech (Fagus sylvatica) - covers 5% of forests. Beech is found in the south and west of Poland. Alder (Alnus sp.) covers 4.4% of the forest and is mostly found in wet habitats - alder and riparian forests. Silver fir (Abies alba) is a significant species (2 %). Its share in highlands and mountain forests is constantly increasing. Other broadleaved species, e.g. 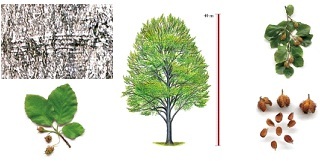 maple, sycamore maple, aspen, poplars, hornbeam, mountain ash, in total cover less than 1 % of area. Among the endemic species in Poland the following can be mentioned: Larix polonica,Delphinium oxysepalum, Dendranthema zawadskii. 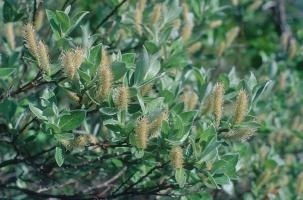 Among relict species (disappearing species or from other periods) the following can be mentioned: Dianthus sylvestris, Salix lapponum, Betula nana, Dryas octopetala, Saxifraga wahlenbergii. 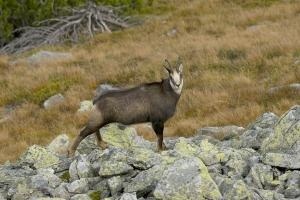 Fauna in Poland is characterized by species which came to Poland during various periods, especially after the last glacier. In Poland about 33,000 of fauna species can be found (including invertebrates). Among terrestrial vertebrates there are 85 mammal species, 220 bird species nesting in Poland, 8 reptile species, 17 amphibians and 55 fishes. Most of them can spread easily and fast and can be found in the whole European moderate zone. Such species are: Tinca tinca, carp (Cyprinus carpio), toad (Bufo bufo), blindworm (Anguis fragilis), grassnake (Natrix sp. ), chaffinch (Fringilla coelebs), green-headed mallard (Anas platyrhynchos), goshawk (Accipitersp. ), squirrel (Sciurus vulgaris), hare (Lepus europaeus), roe-deer (Capreolus capreolus), deer (Cervus elaphus). They are typical of broadleaved and mixed forest areas. 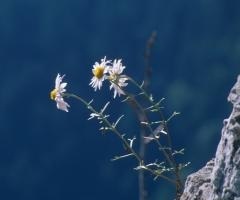 The number of endemic species is estimated at 36 and relict species at 38. 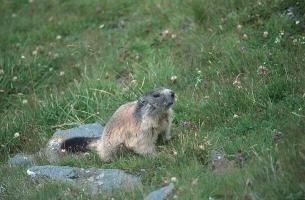 Chamois (Rupicapra rupicapra) and alpine marmot (Marmota marmota) are examples of relict species. Exceptional species: Bison (Bison bosanus). Nowadays in Poland there are more than 1000 individuals. Adult males weigh about 440-920 kg, females are smaller, 320-640 kg whereas young bisons weigh 16-35kg. The duration of pregnancy is about 260 days and young bisons are born during spring. 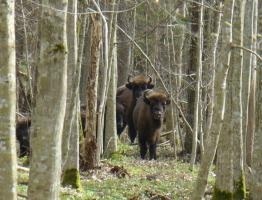 Bisons eat mostly plants from forest ground, and spend 80% of their life for grazing. Typical species: Deer (Cervus elaphus). In Poland there are more than 178 thousand individuals.Adult males weigh about 220 kg. Antlers are shed every winter and grow again in spring; at the age of 10 deer have got the biggest antlers. 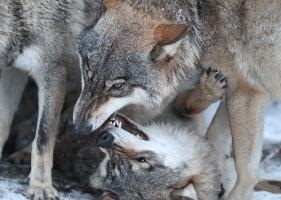 Exceptional species: Wolf (Canis lupus). In Poland there are about 600-700 individuals. These populations are found in the north-east, middle-east and carpathian part of the country.